At Dennis Family Homes, we know that no two families are the same. 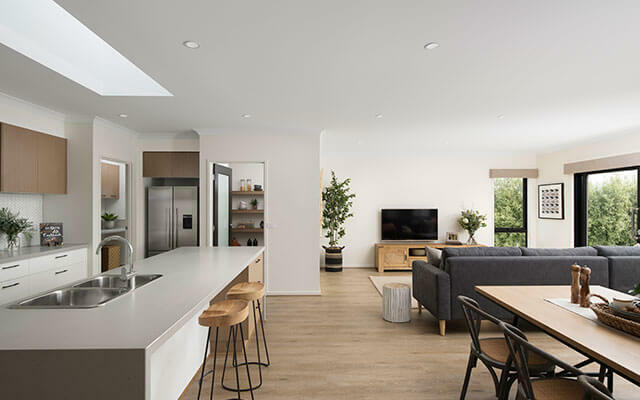 Every family has a distinctive set of needs, wants and lifestyle requirements that place different demands on our homes, so a one-size-fits-all approach to home design simply doesn’t work. 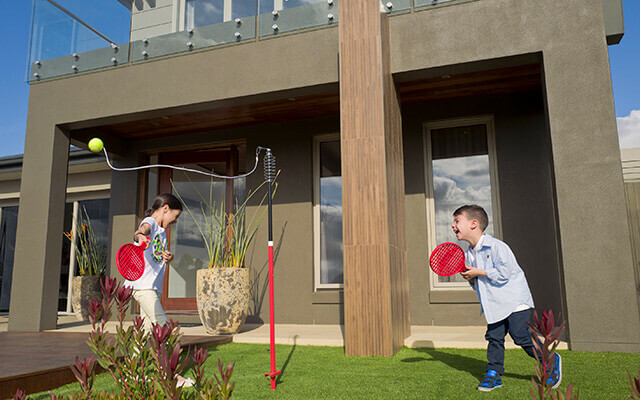 That’s why we created an extensive catalogue of more than 80 carefully designed contemporary family homes, so you can be sure there’ll be one that will suit your family perfectly. Whether your family most loves entertaining guests, getting creative in the kitchen or indulging in a little luxury, here are some of our favourite family home designs that are sure to impress. If you’re a family of social butterflies, you’ll love the Cosgrove. With several design options ranging from 29 to 34 squares, the open floor plan provides an ideal space for entertaining guests. 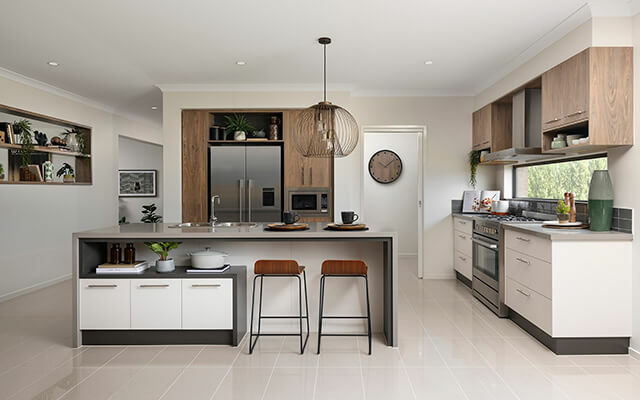 With its connected kitchen, living and dining at the rear of the home opening onto the outdoor alfresco area, it makes it easy to cook and chat with your guests while they relax. The kitchen is set up perfectly for entertaining with its gourmet island bench and spacious walk-in pantry, while the large games room connected to the meals area provides the perfect hang-out zone for the kids or teenagers to make their own fun, while still staying close to the action. While the 29-square design offers everything you could you need to host the perfect party, upgrade to the 34-square design for the added luxury of a separate additional living room. If you’re living with adult children at home, you’ll know how valuable some extra space can be. While we love spending time together, most of us also crave a little alone time every so often—and the Churchill is perfect for it. 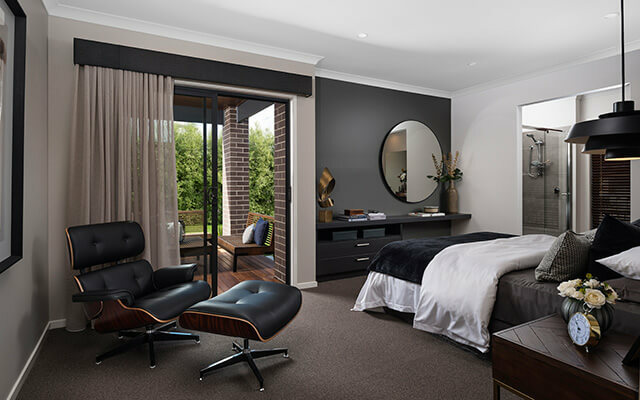 Set over an incredible 38 squares, this double-storey home not only gives family members the choice between three living areas to hang out in, but also features a walk-in robe and private ensuite in each of its four bedrooms. No one will be able to complain about not having enough space or who’s turn it is to clean the bathroom with this spacious home design! If you fancy yourself as a bit of a foodie, it’s hard not to be impressed by what the Charlton has to offer. With various floor plan options ranging from 31 to 37 squares, the kitchen plays a leading role in this beautiful home design. Set in the heart of the home, it not only features a large gourmet island bench complete with space for breakfast bar seating, but the oversized walk-in pantry (which can be upgraded to a butlers’ pantry) also boasts direct access to the garage, making it so easy to unload groceries from the car to restock supplies. While we all want the kids to be comfortable, the parents zone is where we really value that added sense of luxury—and the Balmoral has it in spades. 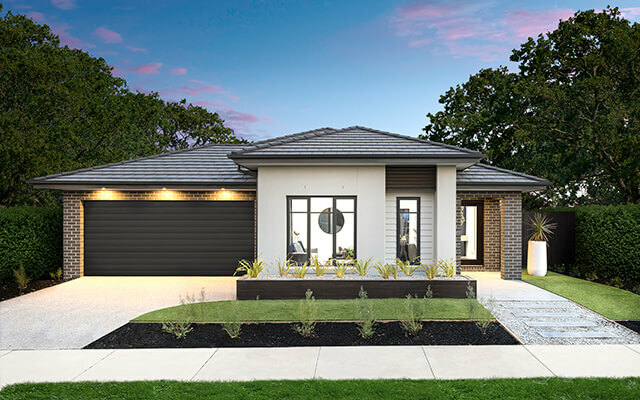 As one of our homes that sits on the larger end of the scale, the Balmoral ranges in size from 37 to 50 squares and delivers a sense of luxury that’s hard to compete with. While the more compact floor plan options deliver a spacious master suite complete with larger-than-most walk-in robes, double ensuite and a private parents retreat, upgrade to the 50-square model and it reaches a new height of luxury, with a palatial walk-in robe, an opulent ensuite complete with bath tub and enough space to create your own lavish chill-out zone. Working to a budget shouldn’t mean you have to sacrifice on the things you need, and the Avarnti delivers everything you need without compromise. Set over a spacious 29-squares, this contemporary single-level home features two separate living areas, study, walk-in pantry to the kitchen, walk-in robes to each of the four bedrooms and a master suite complete with walk-in robe and ensuite. Starting from only $230,000 it delivers everything you could want, without blowing the budget. No matter what unique requirements your family has, we’ll have a home design that’s sure to satisfy. View our full catalogue of stylish home designs or visit one of our display centres to find the one that’s going to suit your family best.